Not John and Mary! 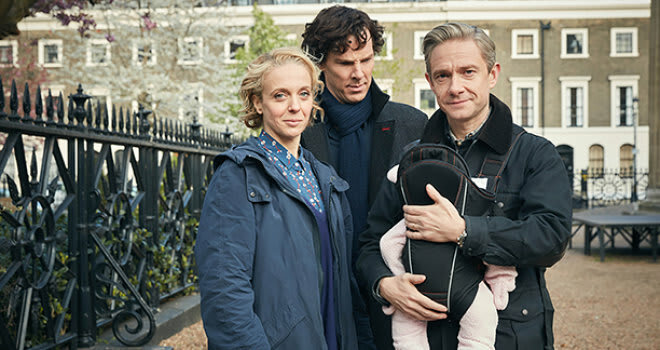 Last year on “Sherlock,” John Watson (Martin Freeman) and Mary (Amanda Abbington) got married, and Season 4 — which starts Jan. 1 — is meant to introduce their baby girl. But now they’re breaking up the real-life family. We joke because love is clearly dead and there’s nothing else to do. Sadly, the show must go on. Abbington recently shared that “Sherlock” Season 4 would be brutal but very funny and the whole company’s favorite season to date. It begins January 1 at 9 p.m. on PBS.